Since we have been living in Cambodia for long time, my sister misses snow very much. 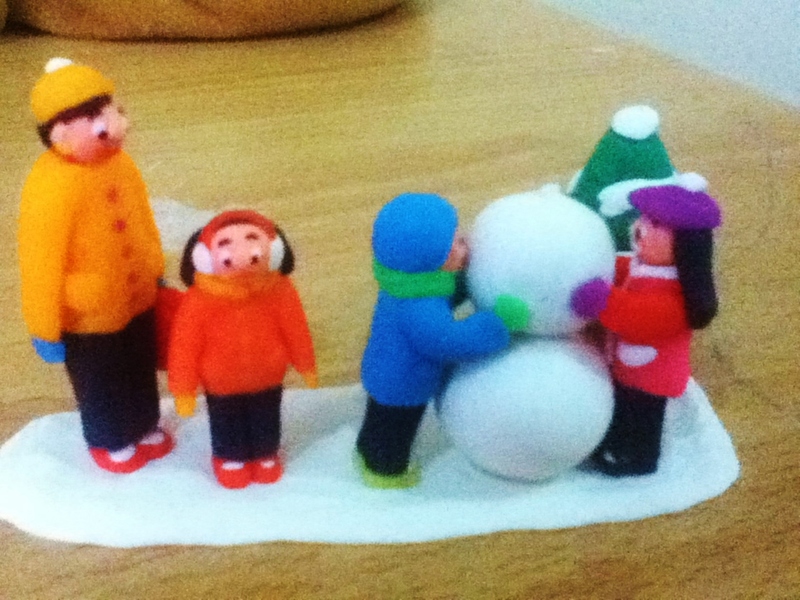 So, recalling her memory, she created this piece of a family building a snowman. She called it ‘Happy Family‘ unlike my expectation (I expected it to be ‘Snowman‘). I think she was very happy when my family went to build snowman together. I hope we could do the same in the future!